Egerton Manor - Ladysmith Accommodation. 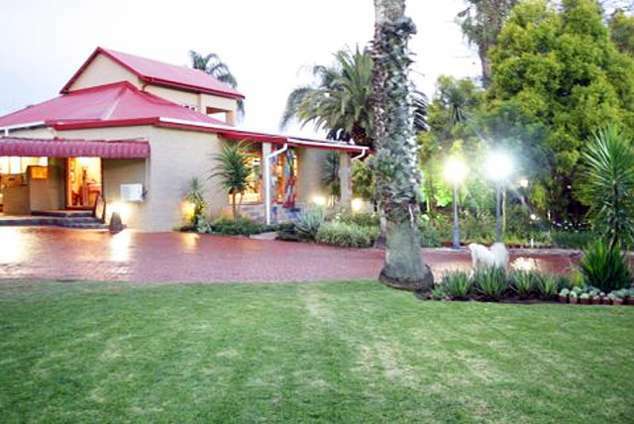 Centrally Situated: We are situated in the middle of Ladysmith, easily accessible. Delicious Cooking: Pierre is an experienced cook and makes each meal a culinary delight. He is not afraid to try new ideas - ask him about the famous KwaZulu-Natal style curries. To share in the delight, book for dinner in advance. Safe: Kikay, our trusty French Poodle, is on duty 24/7 and protects the premises from unwanted elements. Failing her, there is a security guard on duty at night. Egerton Manor is situated in a safe neighbourhood. Undercover parking. Remote controlled entrance & secure fencing. Optional Extras: We have been living in Ladysmith for most of our lives and know every nook and cranny. We can help you to arrange guided tours, a picnic, scenic trips to the Drakensberg, just ask and we will do our very best to assist. On Our Doorstep: Golf course, various Anglo Boer War Battlefields, World Heritage Site: Drakensberg Mountains, a few interesting restaurants. Your Hosts: Pierre and Sorika Massyn. We would like to welcome you to our Manor. 63364 page views since 15 May, 2003.